Last Cat on Mars Presents: Stonehenge – Ancient Litterbox or What? 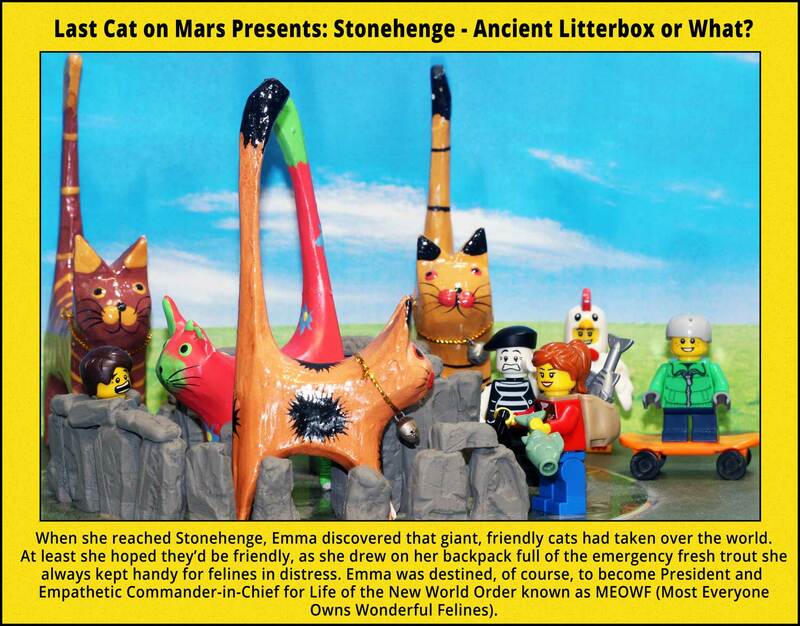 This entry was posted in History and tagged cats, lego, minifigures, Stonehenge on July 30, 2014 by Jay Verney. The Other (L’Autre) Tour de France? When Too Much Lycra Isn’t Enough. If you thought Dr OnMars was only about single panel fabulousness, then think again, dudettes and dudes, also dudelings and catlings. BTW, the Danish word for kittens is killings (who knew? well, the Danes for one, or many). Just saying. Coming very soon: L’Autre Tour de France – The Other Tour de France de Jour. What with the excitement of many men pedalling furiously along country and city roads for no apparent reason or rhyme, but with excellent muscle tone and really expensive bicycles, it was only a matter of time, or even thyme, before a copycat appeared, so to speak. Forged in the heat of caption artistry hell, and sometimes heaven, and ready to take on the highways and byways of Everyroad, The Other (L’Autre) Tour de France – soonish, friends. Meanwhile, please enjoy some single panel tableautoons. Coming up: Stonehenge, The Perils of the Fake Resume, the Zombie Apocalypse, and more – you heard me, more. This entry was posted in The Other Tour de France and tagged the other tour de france, tour de france on July 29, 2014 by Jay Verney. 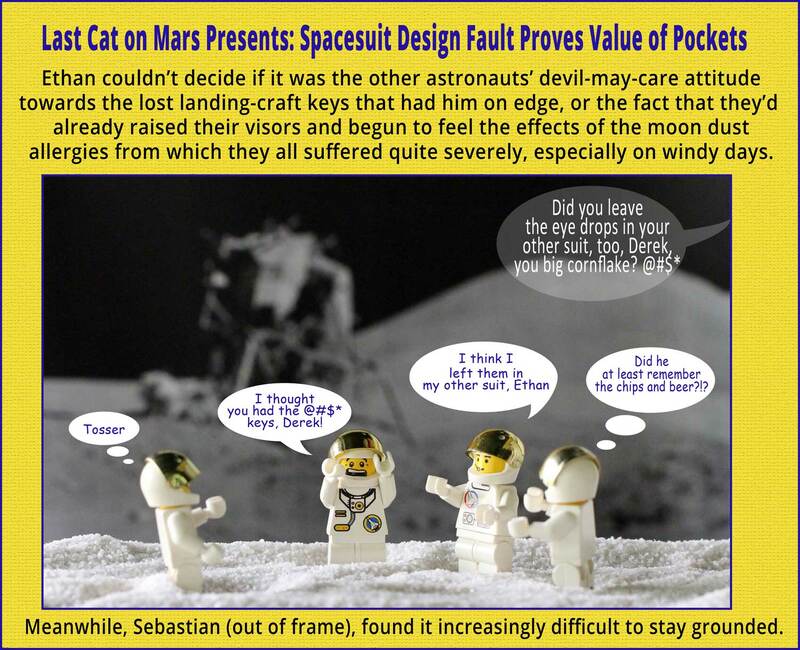 This entry was posted in Space and tagged astronauts, design fault, lego, lost keys, minifigures, spacesuits on July 24, 2014 by Jay Verney.